The Class of 2019 completed its first day of school during new student orientation. 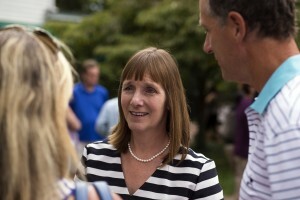 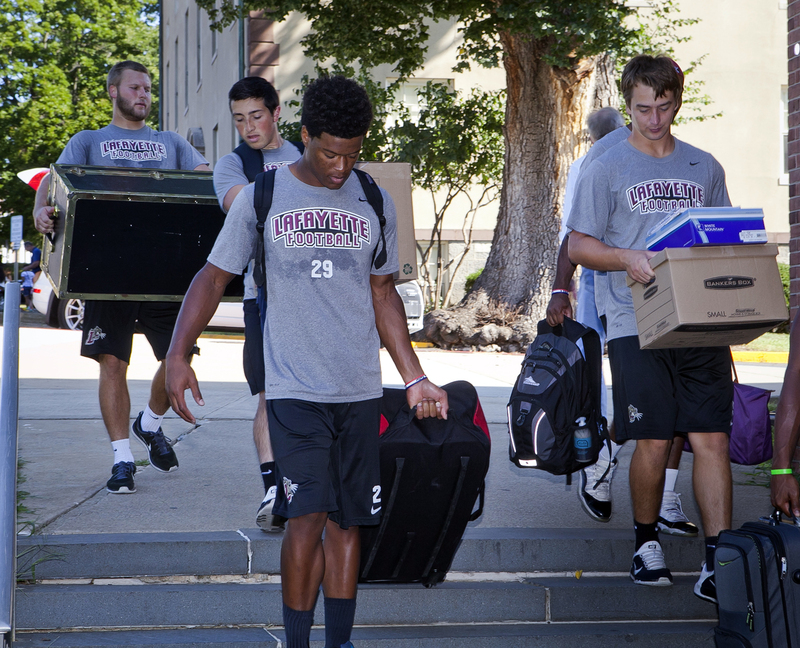 Below are several photo galleries chronicling the very busy day. 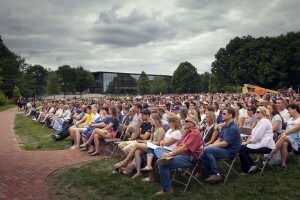 The 673 first-year students were assigned to one of the five class commons – Victoire, Alliance, Hermione, Cadmus, and Brandywine – according to residence hall. 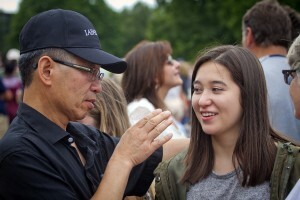 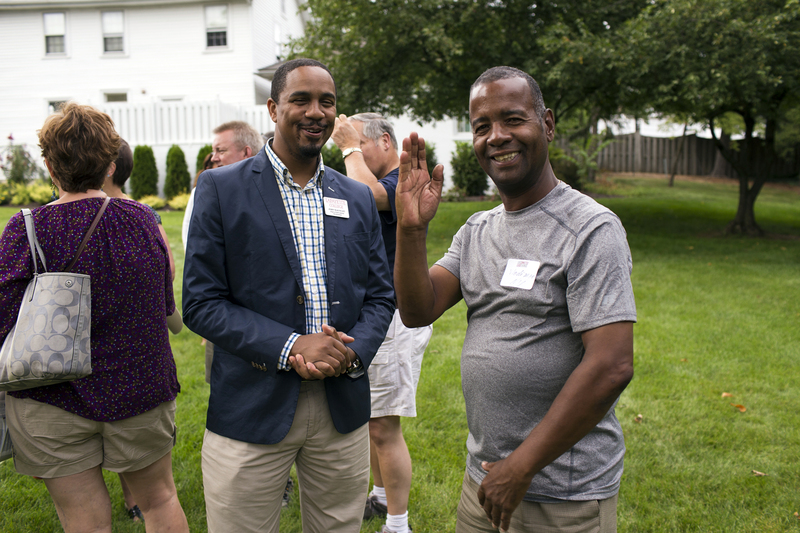 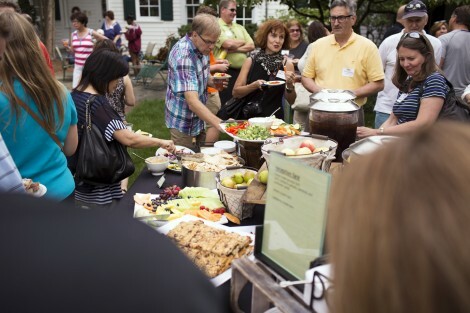 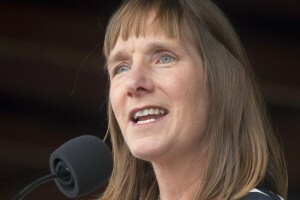 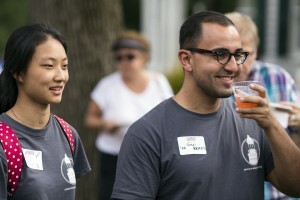 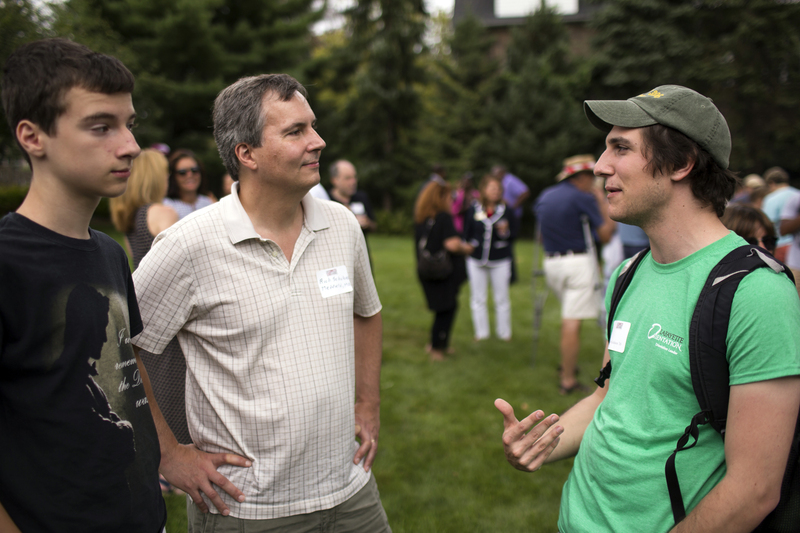 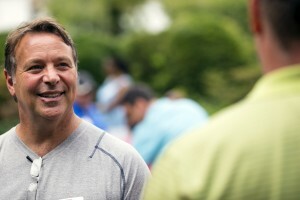 In addition to forming a bond during orientation, the commons will provide students with strong connections to each other throughout the year with special events, speakers, and socials. 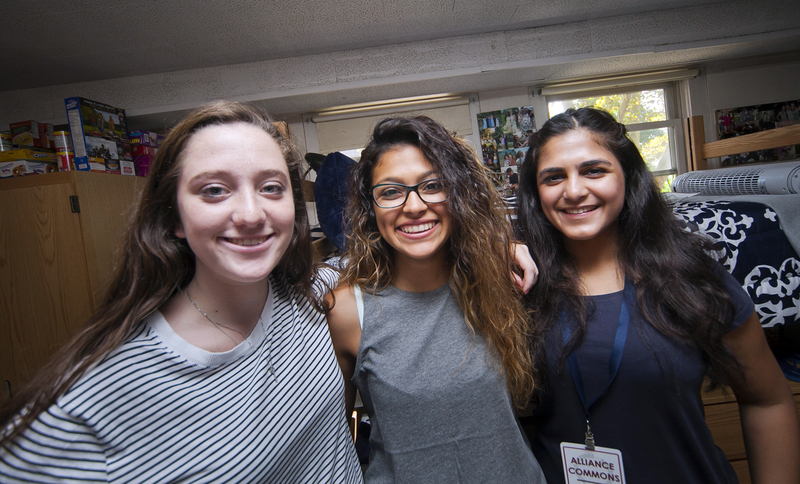 Over the weekend, the students will take part in activities focusing on intellectual development and building a class identity. 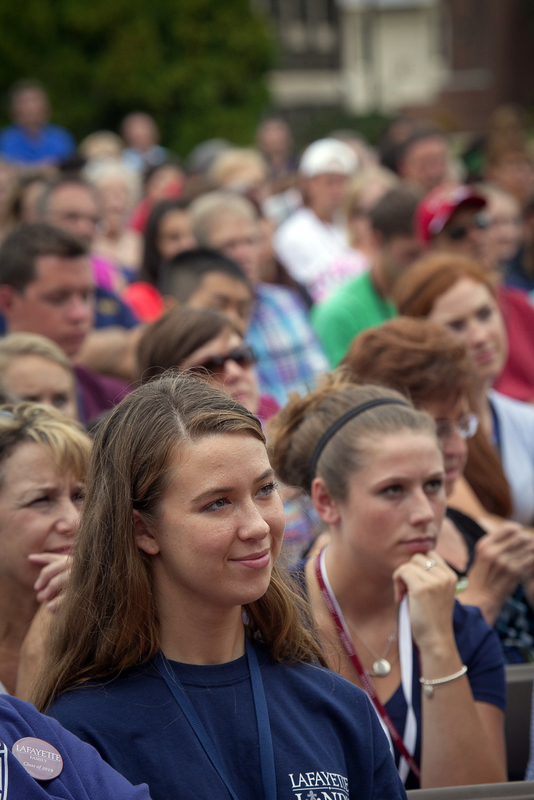 The orientation program will culminate with the Convocation ceremony Sunday, Aug. 30, on the Quad. 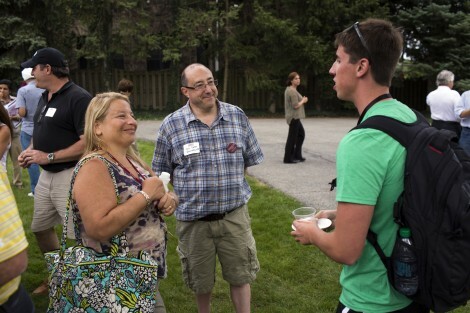 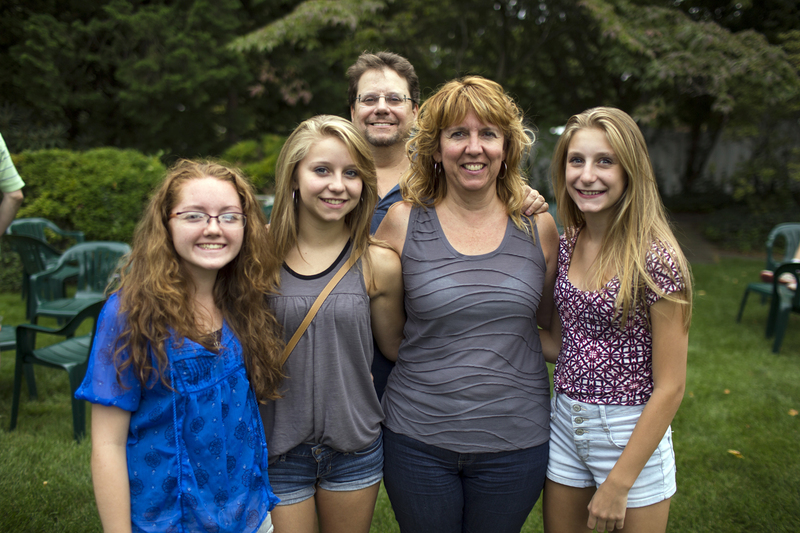 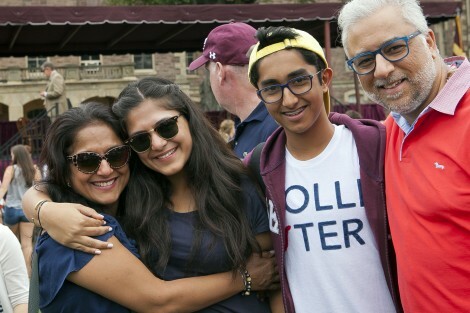 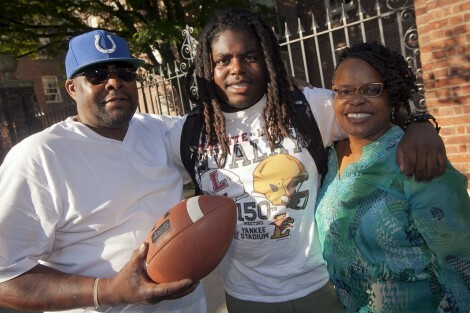 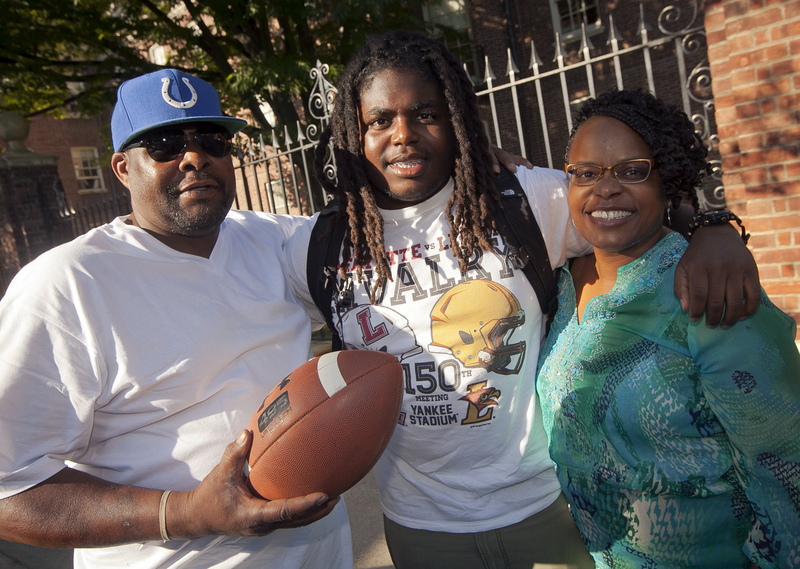 A first-year student takes a break from moving in to pose with his family. 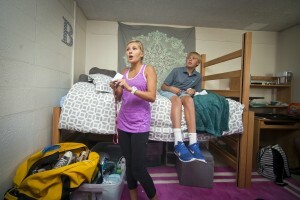 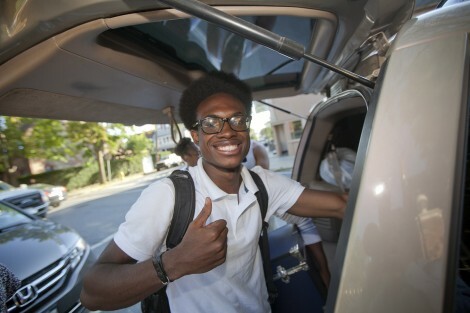 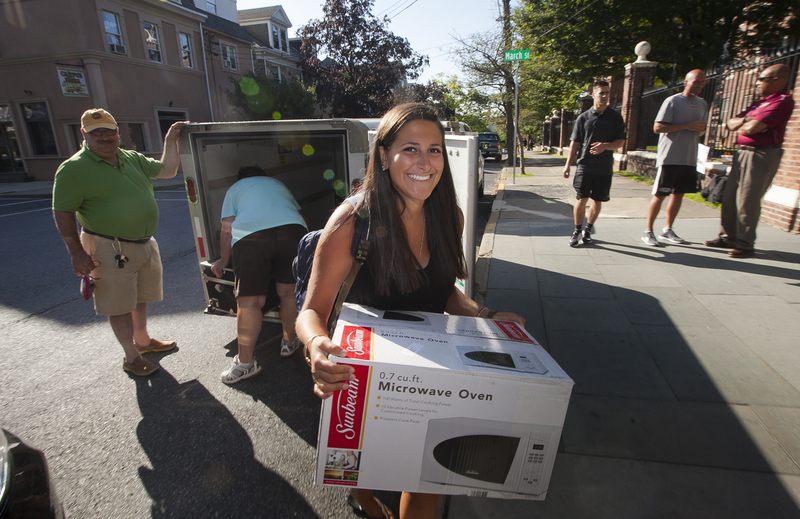 This first-year student is very happy about the move-in process. 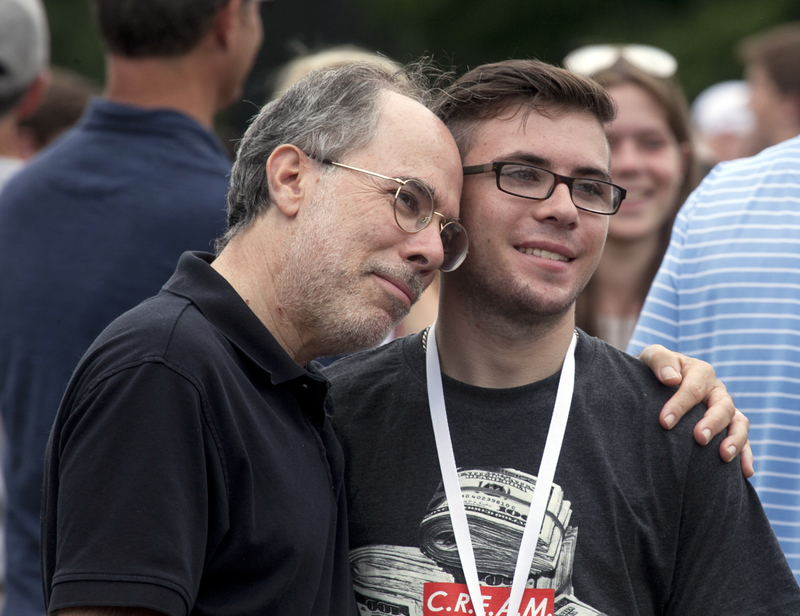 A father and son play catch with various breakfast items. 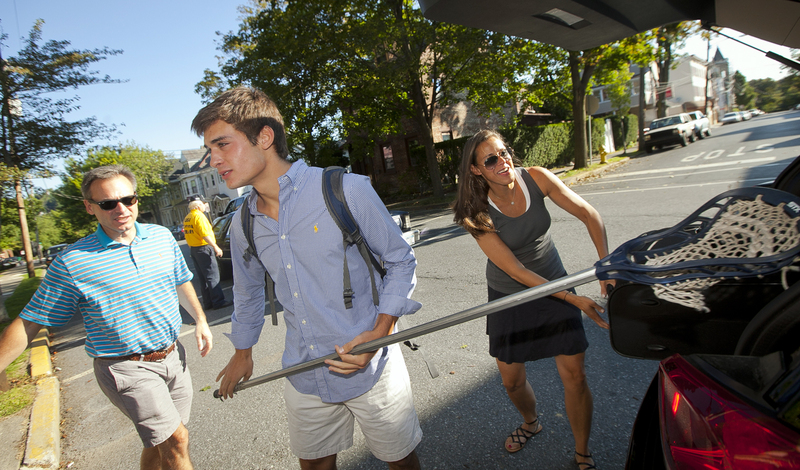 A new family unloads the car on McCartney Street. 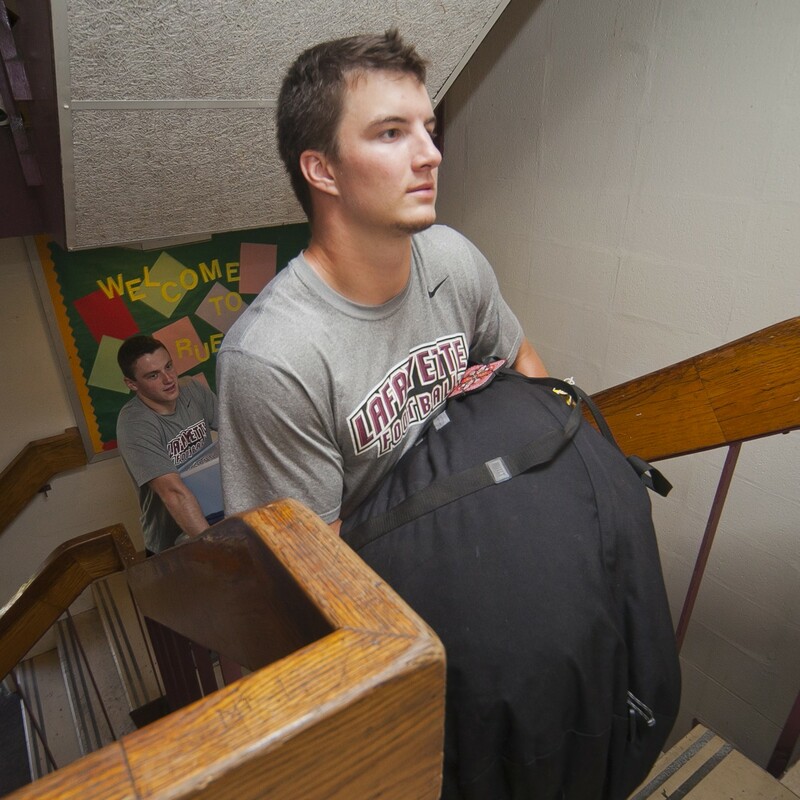 Jonathan Anastos ’19 carries his things to his new hall. 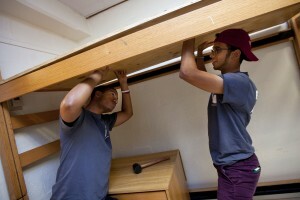 Resident assistants help raise a bed in McKeen Hall. 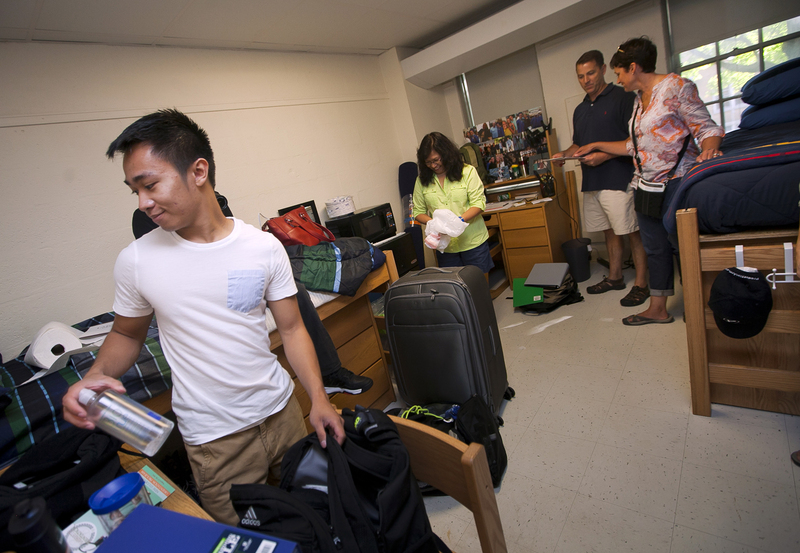 A new student sets up his room. 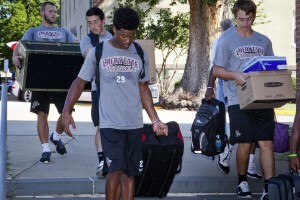 A new student unloads the U-Haul trailer. 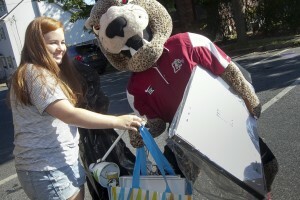 The Leopard gives Lauren Fox ’19 a helpful hand. Football player Izaiah Avent ’19 carries another student’s items into Ruef Hall. Rebecca Novak ’19 plans out how she will decorate her wall. 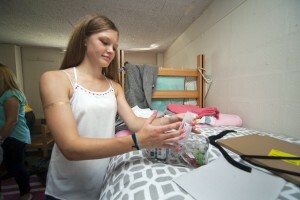 Kayla Guerin ’19 organizes her things. 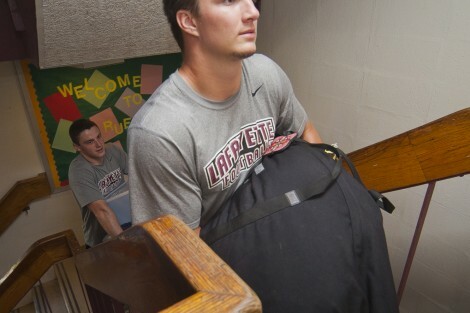 Football player Michael Root ’18 carries a first-year student’s gear into Ruef Hall. Roommates Marie O'Keefe ’19, Emily Gonzalez ’19, and Shreya Nebhwani ’19 meet for the first time. 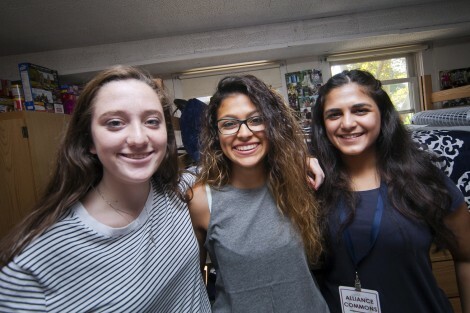 Shreya Nebhwani ’19 hangs photos on her wall in Ruef Hall. 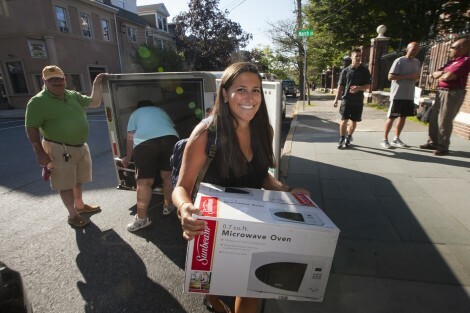 Danielle Kats ’19 moves in to Ruef Hall. 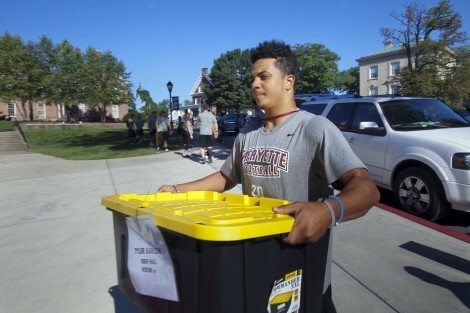 Kaizer Butler ’19 and other football players help with the move in. 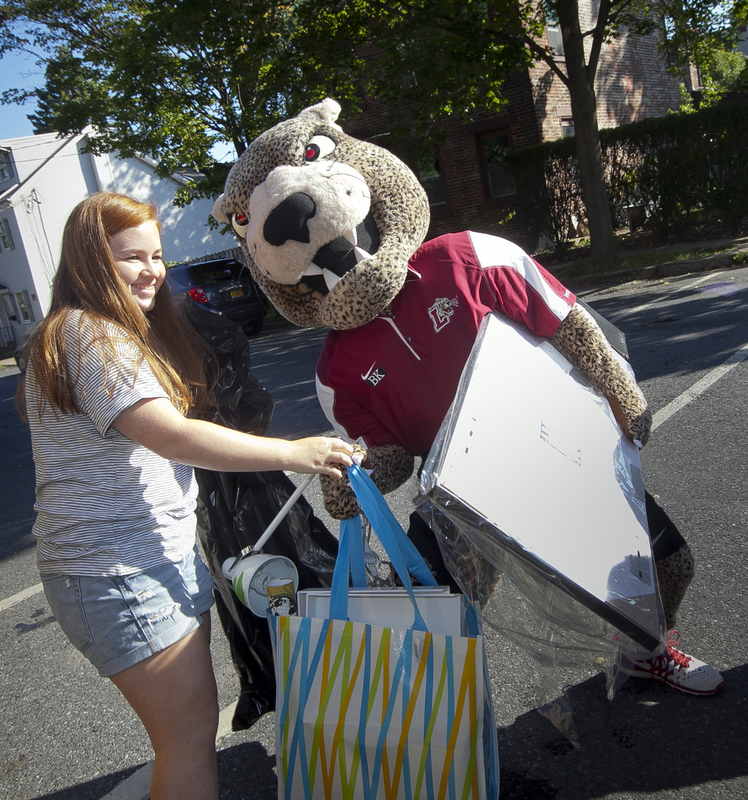 Alexandra Castiel ’19 gets help setting up her room from her family. 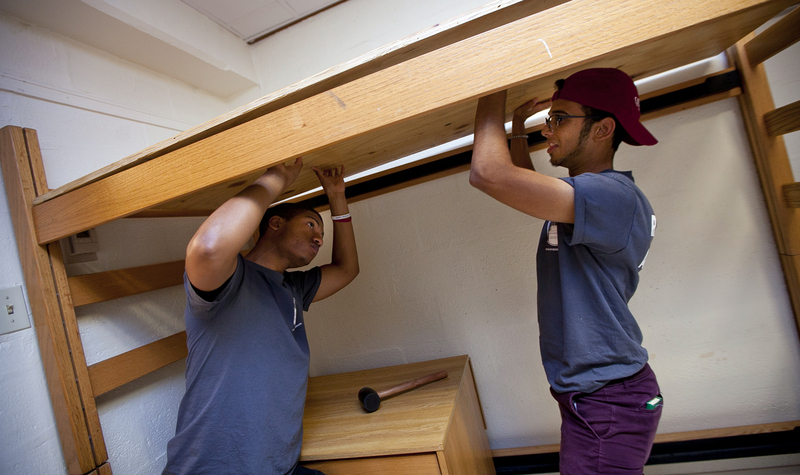 Anna Bock ’19 hangs things on the walls. 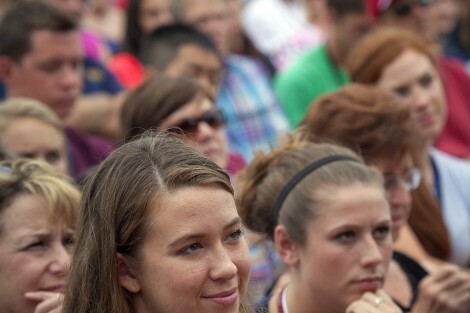 Upperclassmen welcome new students on McCartney Street. 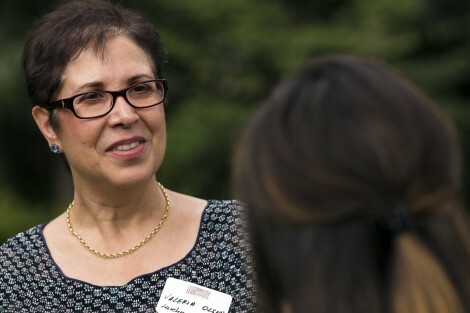 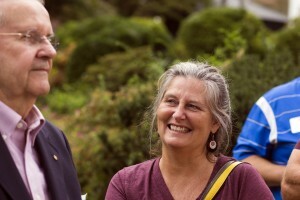 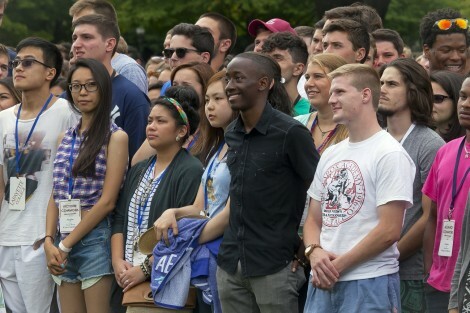 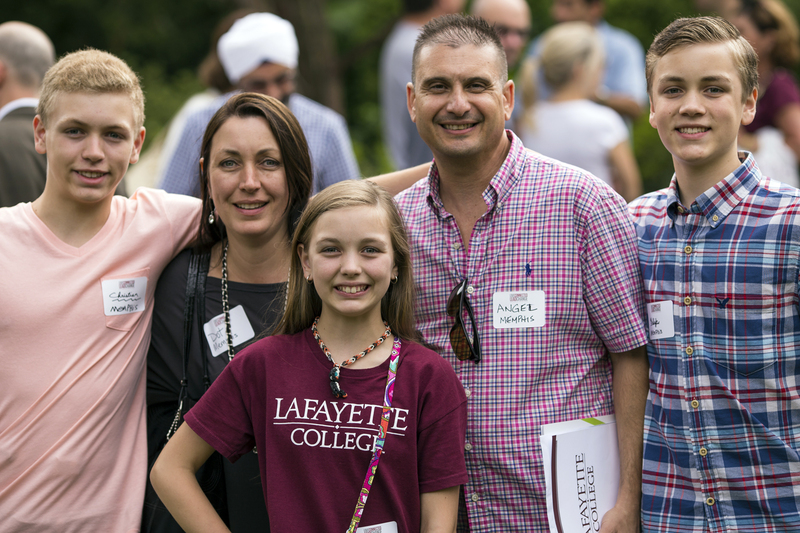 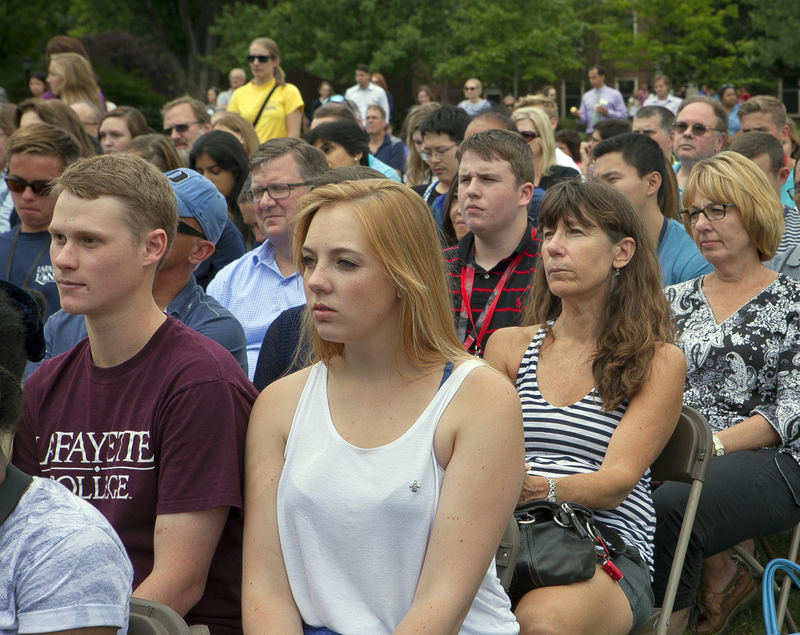 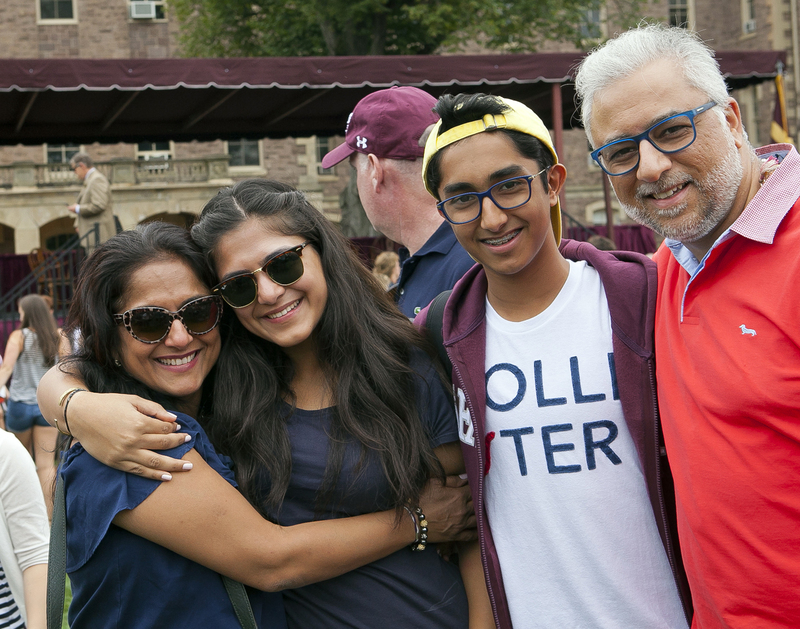 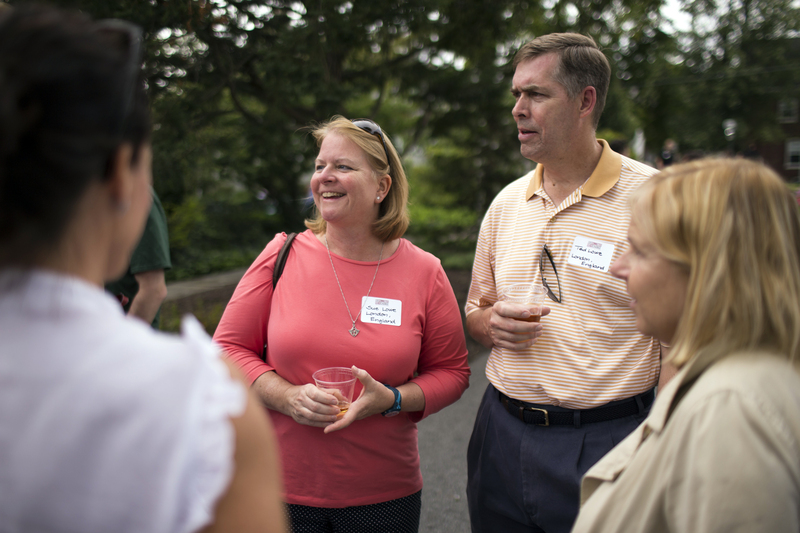 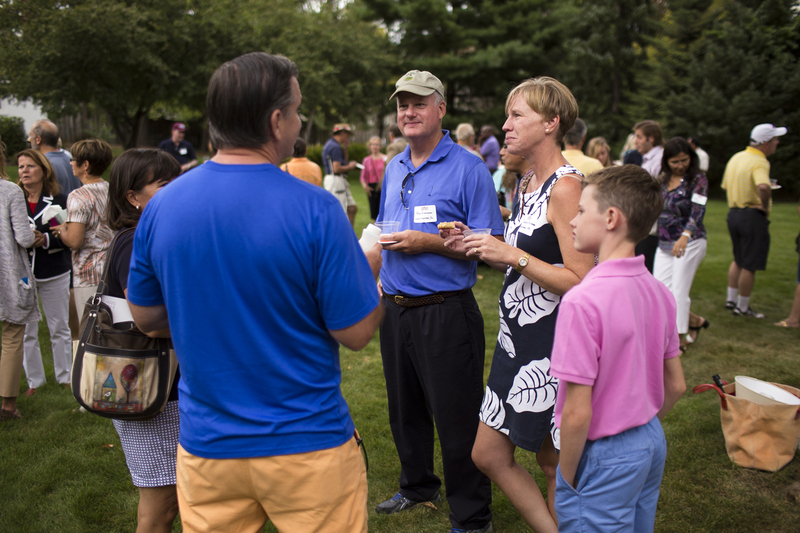 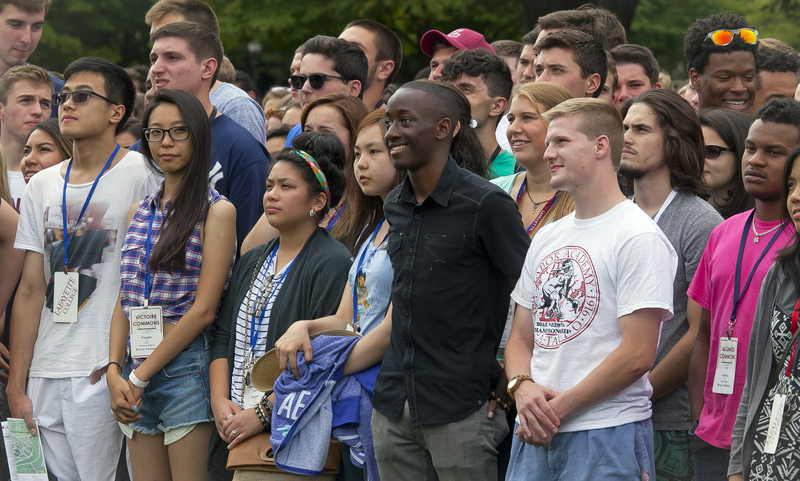 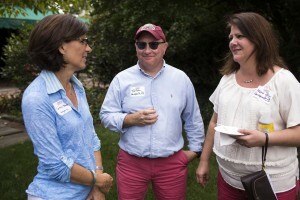 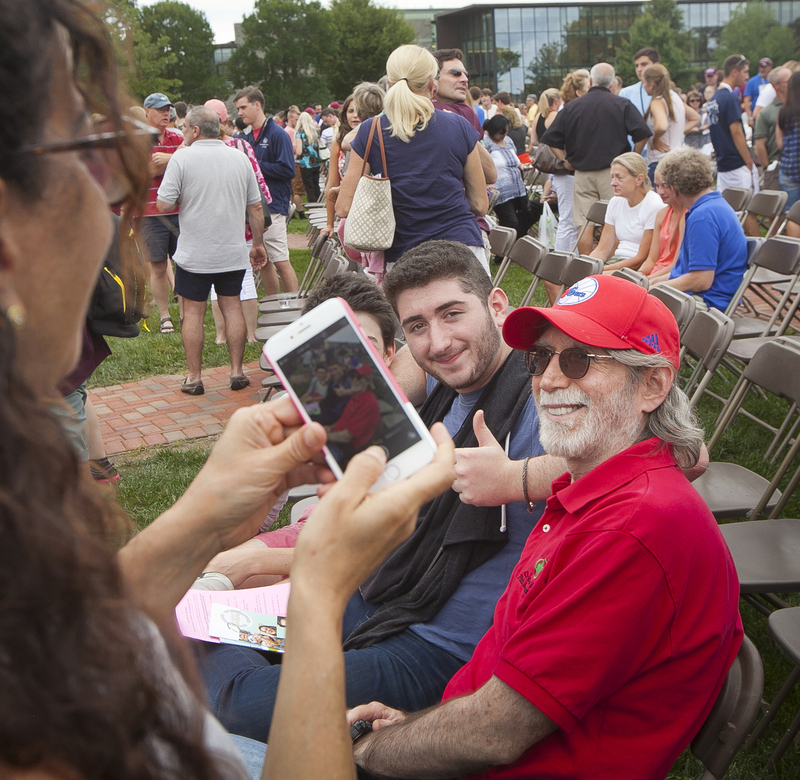 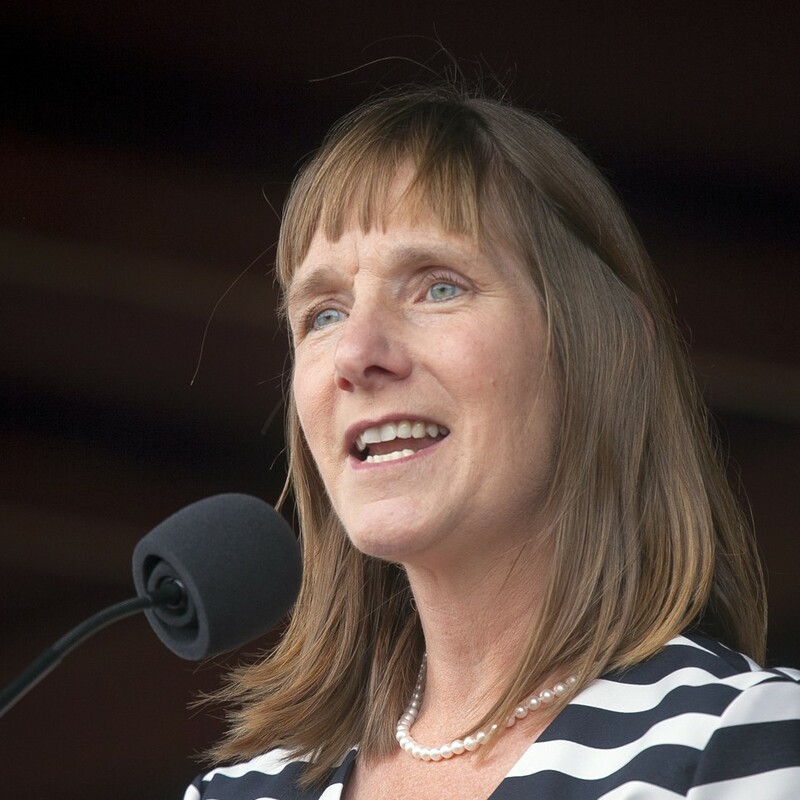 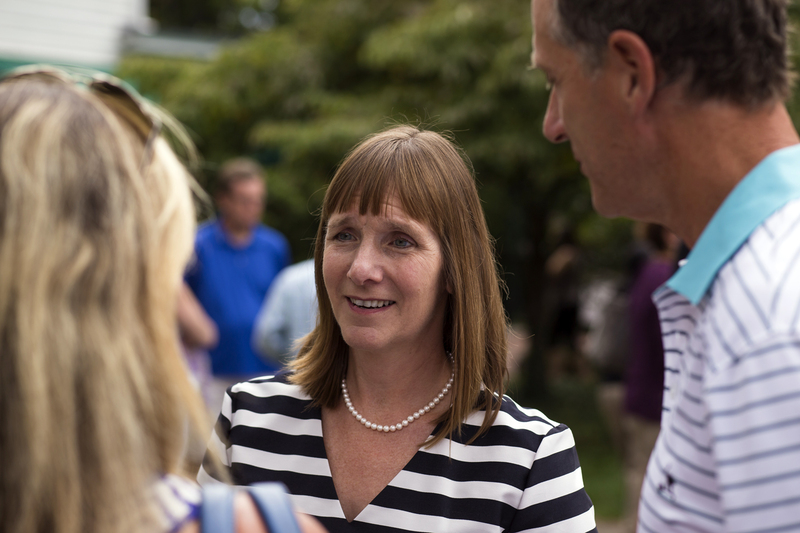 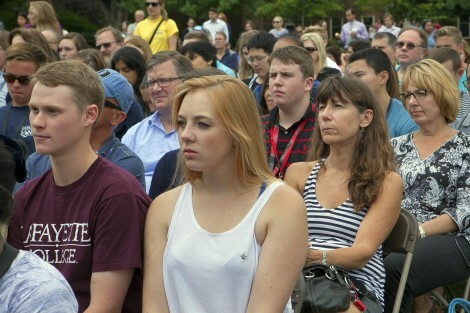 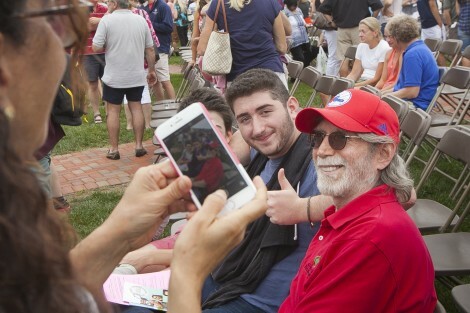 Students and parents gathered on the Quad for the orientation welcome ceremony, which was hosted by President Alison Byerly, Easton Mayor Sal Panto, and Donna Krivoski, director of parent relations. 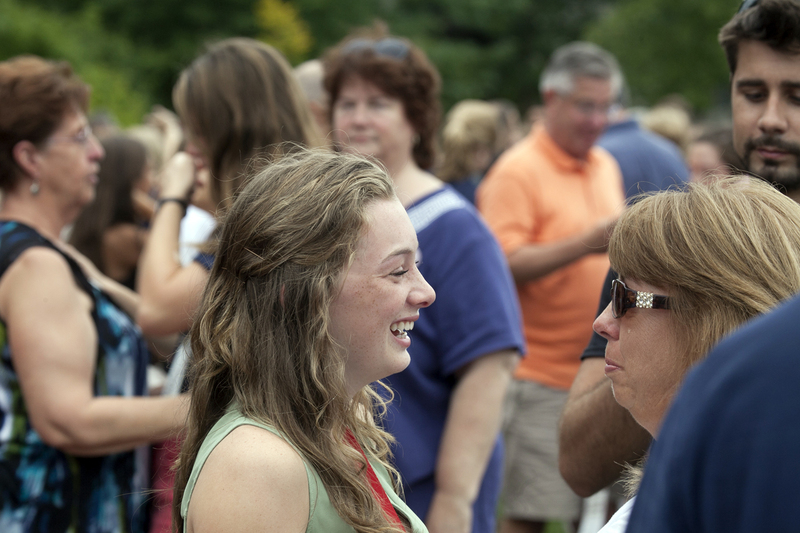 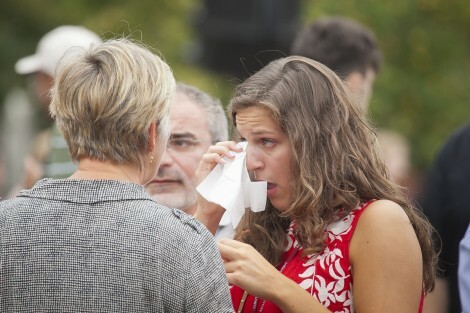 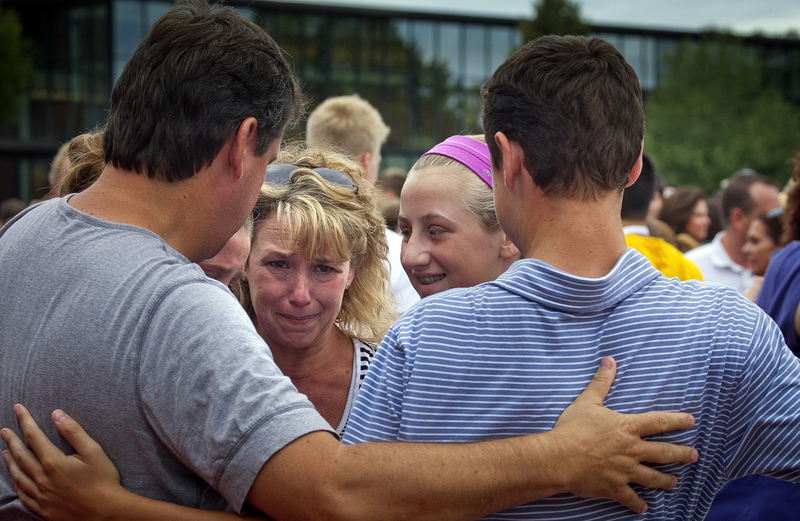 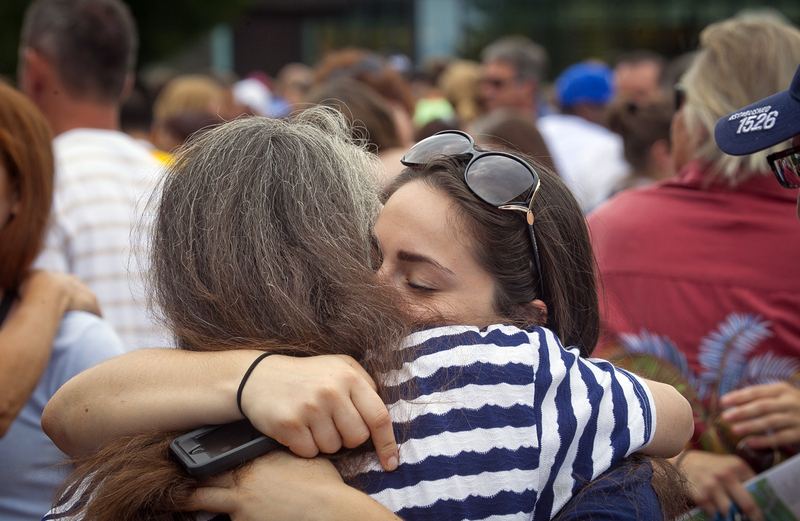 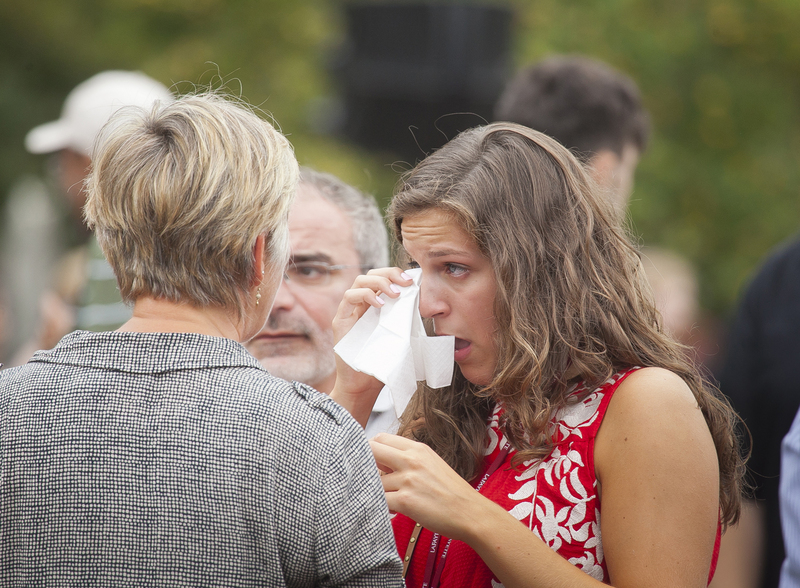 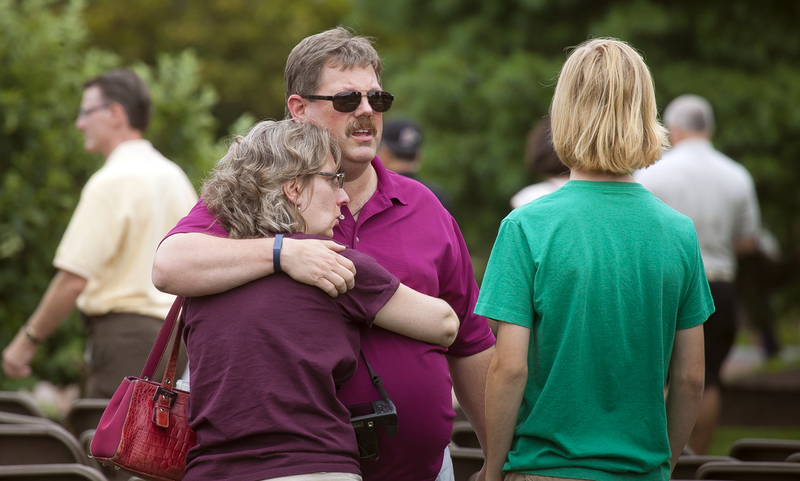 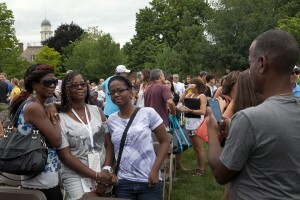 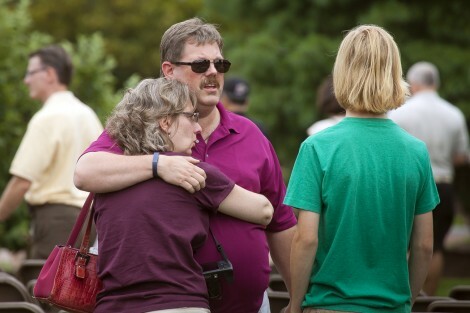 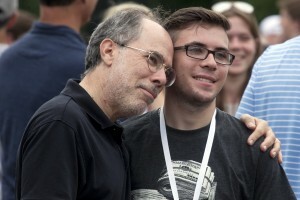 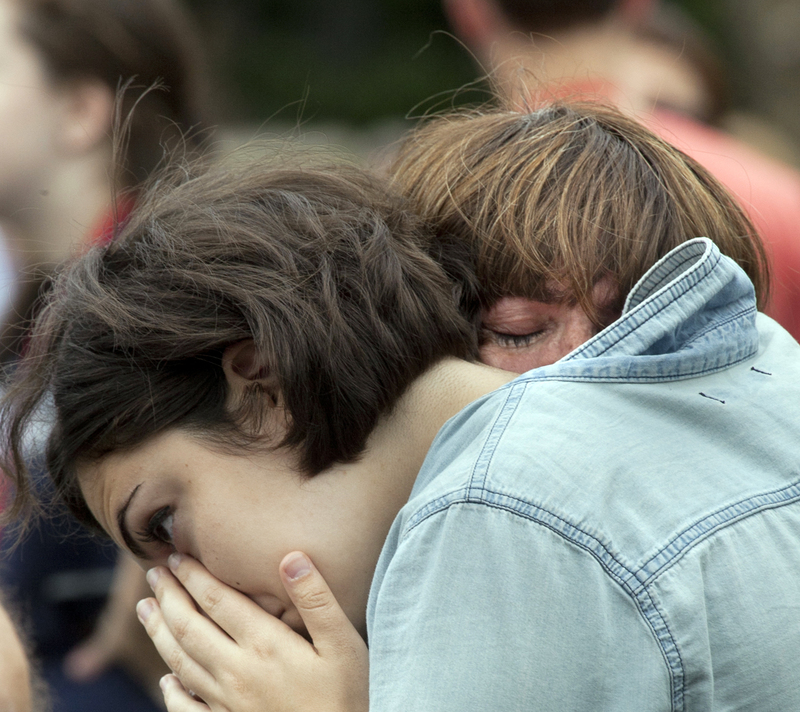 Following the ceremony, the students said goodbye to their parents before the official start of orientation. Members of the Class of 2019 get their class picture. 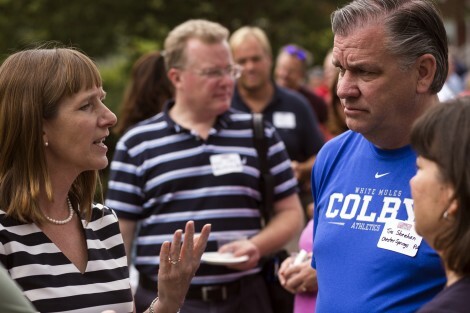 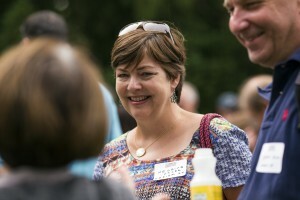 President Alison Byerly greets the new Lafayette families. 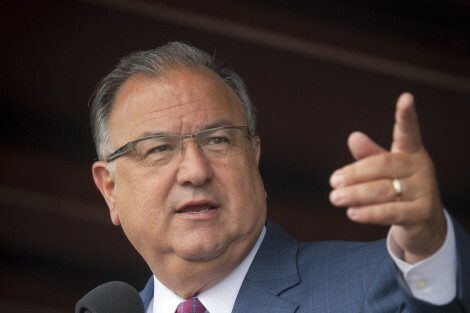 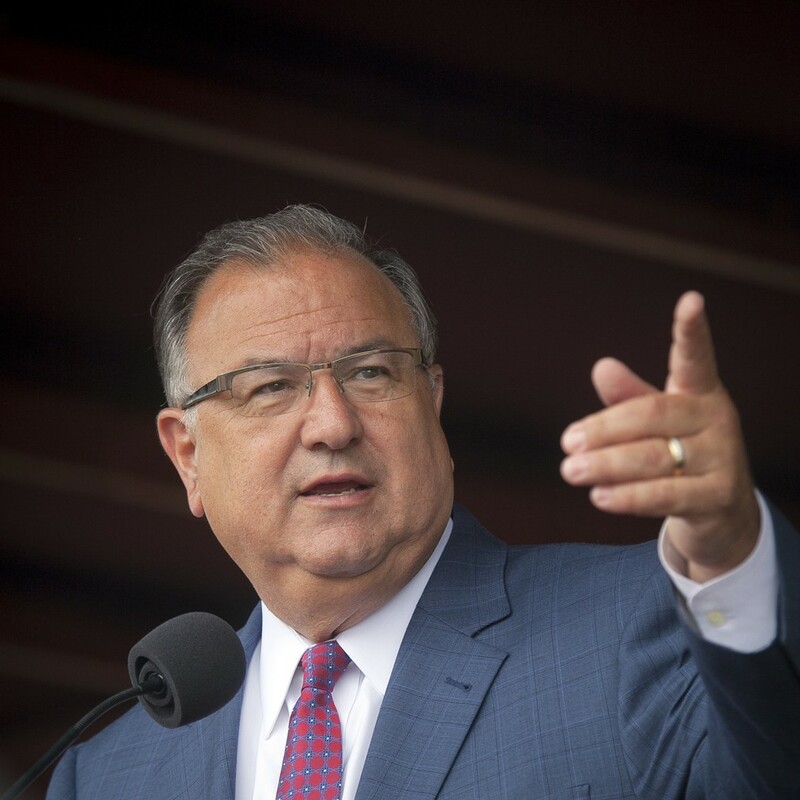 Easton Mayor Sal Panto discusses the close relationship between the city and college.